Well it seems my disappointment with the balmy 60C (140F) starting temperature of the sauna yesterday evening was taken to heart by the staff in the spa. This evening when I enquired as to the temperature in the sauna they told me it was already at 80C (176F). However, by the time I undressed and stepped inside, the thermometer was reading 90C (194F). I coudn't believe it and thought that I would never be able to last a full 30 minutes in that heat and doing light exercises. I was wrong and I did manage to last it out. I lasted a full 32 minutes in fact. Granted that the exercises were a little lighter than yesterday evening. Today they consisted of lying on the top bench and raising my legs and lowering them one at a time (to simulate walking), some periodic stomach crunches, air punching in slow motion and then in the final minute or two some jogging on the spot. All this was interspersed with breaks where I just lay there and rested. I left the jogging on the spot till last just to ensure that I could last out the session. 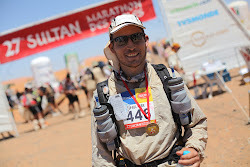 To be honest I cannot say that it was easy, but I am happy that I was able to cope with that temperature for that long. This time I didn't put the towel under the door as I certainly didn't want it any hotter. In fact the temperature was decreasing gradually whilst I was in there, so whilst I started the session at 90C (194F) I finished it at 80C (176F). No headache or nausea in sight, so mission successful, job done, time to go home.